Effective marketing is about more than just attracting one-time customers. It’s about creating a lasting impression that will keep all your customers engaged with your products or services and coming back for more. Imagine a locally-owned store operating in a small town—a simple, familiar place where the shopkeep knows your name and knows precisely how to help you find what you need. That level of individual attention is something that might seem lost in modern business, especially on the chronically impersonal internet. But with the right Customer Relationship Management (CRM) solution, you can optimize your marketing to suit the unique needs of every customer, just like you might in a small independent business. 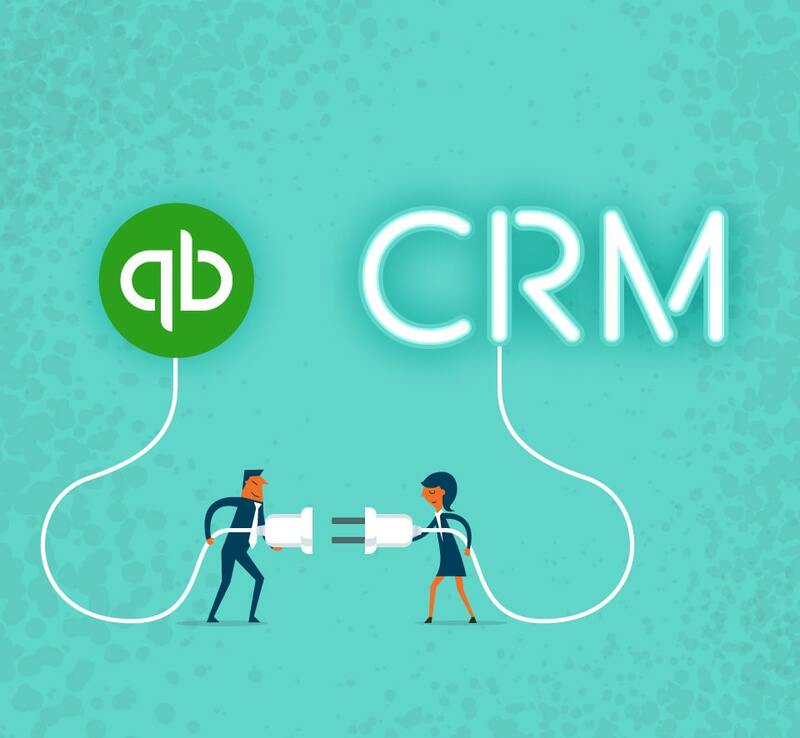 With a little help from your CRM platform, personalized marketing practices can be expanded to even the largest customer databases. Which CRM Features Are Essential for Marketing? Just about any modern CRM will offer a goldmine of data for your marketing team to review. A quality CRM lets you view the details of every interaction a customer has with your business, including detailed breakdowns of each purchase, inquiry, support ticket, and any other conversation they’ve had on your website or with your team. The most effective CRMs for marketing tend to automate and simplify many essential tasks that allow you to build productive and long-lasting relationships with your customer base. Customer conversation histories: By having a chronological record of every interaction a prospect or customer has had with your company, you can deliver the most relevant marketing communication at the right time. 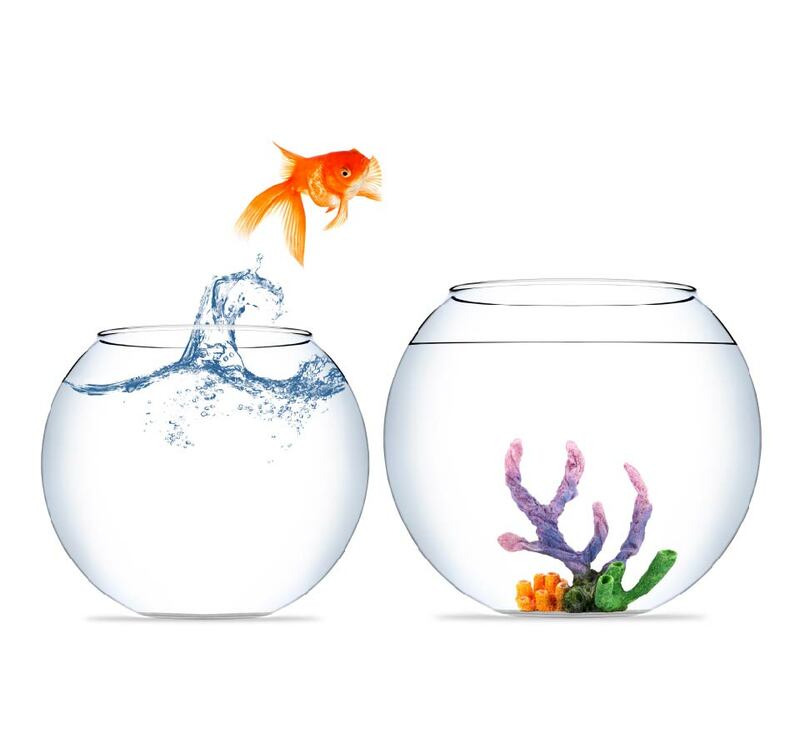 Customer filtering: Being able to segment your prospects and customers by factors such as geographic location, industry type, lifetime value, and date of last contact allows you to create highly specific marketing messages that are more likely to capture your buyers’ attention. Automated email nurturing: A well-equipped CRM should cut down on the labor your marketing team needs to invest into organizing email lists and sending follow-up emails, by automatically sending email communications based on where a prospect is in your sales process. Visibility into which marketing efforts are generating the most revenue: The ability to track leads from source to sale helps you understand which marketing efforts are paying off and which should be improved or cut loose. While it’s rare to find a CRM that can do this out of the box, it’s worth it to find a platform that offers an integration or add-on that can tell you the revenue impact of individual marketing campaigns. Making all of this data quickly searchable and easy-to-digest gives your marketing team a full view of all the need-to-know details about your customer base. That information empowers you to make personalized recommendations, offer uniquely targeted promotions, and add genuine value in the one-on-one interactions you have with your customers. No matter which CRM solution your business uses, you can probably find several add-ons designed to enhance the marketing features in your CRM. While this can be pretty handy, we’re going to focus on CRMs designed for marketing from the ground up. That means that each CRM on this list includes a host of integrated features built directly into the software. These tools simplify your marketing efforts, allowing you to automate certain communications and track customer behavior in much less time. 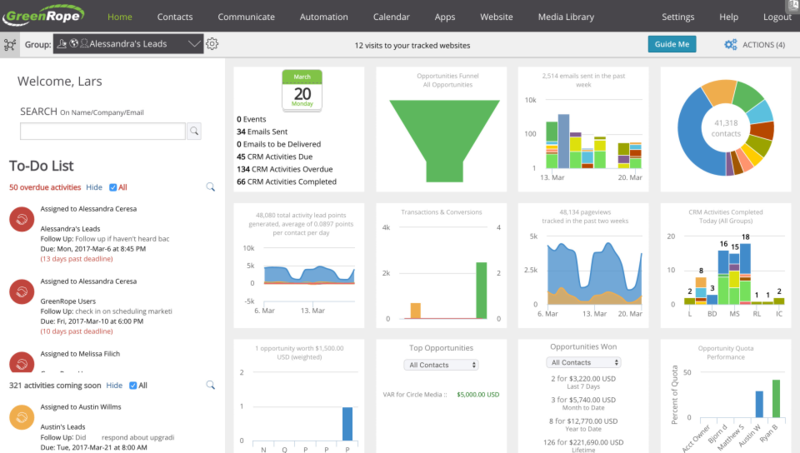 Let’s take a look at eight of the top CRMs for marketing. Nutshell is a complete CRM and sales automation solution equipped with a “sneaky powerful” feature set that allows it to work for just about any business. When it comes to marketing, Nutshell is completely integrated with your front-end data collection, and seamlessly incorporates new lead information into its industry-leading reporting and sales process tools. This makes it easy to quickly review leads, manage customers in every phase of the acquisition process, and view in-depth analytics data for your entire business. Another way that the platform stands out is in its filtering capabilities. Nutshell’s tags and custom fields allow you to group and segment your contacts by any conceivable attribute, and its interactive map feature lets you identify all your buyers in a geographic area and export them into a segmented list with one click. Nutshell’s marketing automation tools and native integrations make it easy to personalize the promotional and nurturing materials your customers receive. 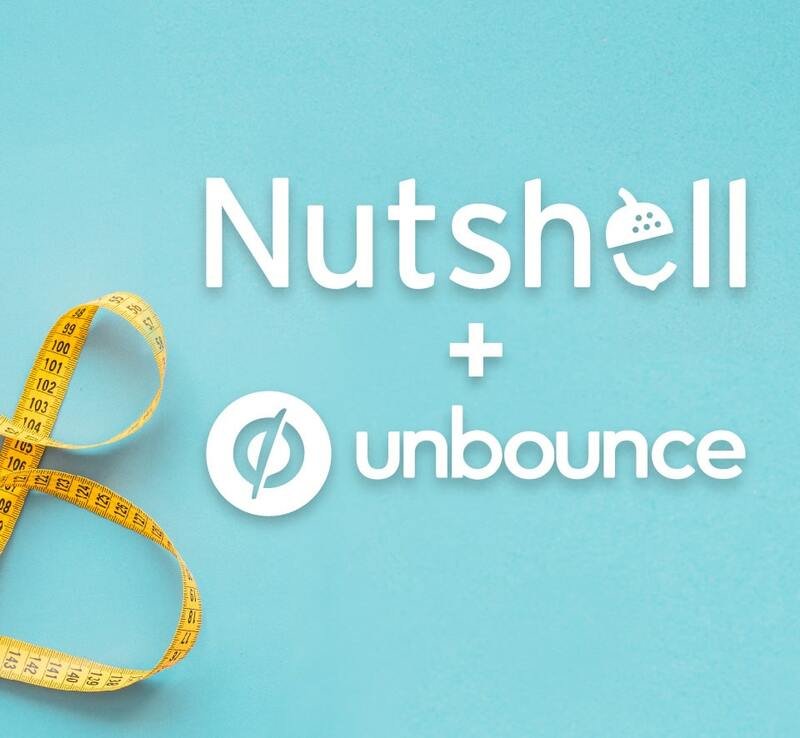 For example, Nutshell’s Mailchimp integration automatically adds customers to targeted email drip campaigns based on which stage they are in your sales pipeline. By pairing that with a tool like Reply, you can automatically create new leads in your Nutshell account when potential customers reply to your email promotions. Finally, Nutshell’s simple interface, intelligent search, and customer timelines make it extremely easy to find specific customers and get up to speed on their experience with your business, so you can craft personalized recommendations and offers based on their demographics and purchasing history. Pricing: $19 per user per month for Starter, $35 per user per month for Pro (annual pricing). Pro Plus pricing available upon request. 14 day free trial available. Best for: Businesses looking for a complete integrated solution for contact management, sales automation, and marketing. Zoho allows you to collect data from every web form on your site, automatically manage targeted email lists based on user behavior, and generate unique promotions for specific customers and email lists. This powerful combination enables you to automatically track and interact with customers based on how they use your site and services. You can take it a step further with Zoho’s built-in Google Ads integration, which allows you to track the efficiency of your advertising campaigns from your CRM. While the automation tools are enough to earn Zoho a spot on this list, their expansive Campaign Manager adds serious value to the package. Design, budget, and track your advertising campaigns—all from a single interface. Pricing: $12 per user per month for Standard, $20 per user per month for Professional, $35 per user per month for Enterprise, $100 per user per month for Unlimited. 15 day free trial available. Best for: Small and medium-sized businesses who want to improve their marketing automation. The Hubspot platform consists of a huge array of marketing tools, including a full-feature CRM decked out with a few notable marketing automations. Hubspot’s drip campaigns tool allows you to create customized emails targeted to specific customer needs. After you’ve created the e-mails, you can assign dozens or even hundreds of different triggers, conditions, or actions, any of which can automatically assign your customers to an appropriate mailing list or send them targeted promotions after they’ve completed a specified behavior. These powerful triggers can do more than just send emails. They can notify your team of potential leads requiring immediate attention, add tasks to your CRM, and provide a complete portrait of how each user interacts with your site. Outside of marketing automation, Hubspot provides a complete solution for creating landing pages, blog content, marketing emails, and reviewing analytics. Pricing: Free to use. Includes optional paid features for reporting and sales. Best for: New businesses looking for a free-but-powerful CRM solution to get off the ground. SugarCRM is one of the most powerful CRM solutions on the market. However, it is an advanced platform meant for more experienced users. Therefore, while extremely capable, it comes with a difficult learning curve that might leave inexperienced users wishing for a simpler solution. That being said, if you can familiarize yourself with SugarCRM, the powerful marketing tools it offers can prove very rewarding. SugarCRM includes a built-in Campaign Wizard which can track every customer interaction across text (SMS), e-mail, and even in-person. 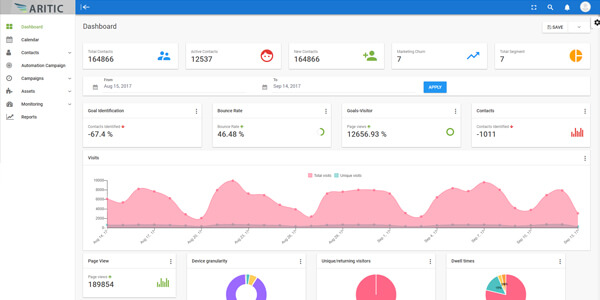 Combine this with SugarCRM’s Smart Reporting Engine which can automatically sort your customers into targeted lists for personalized promotions and you have a massively effective suite of marketing automation tools contained within a CRM interface. Pricing: $40 per user per month for Professional, $65 per user per month for Enterprise, $150 per user per month for Ultimate. Free trial available. Best for: Businesses with an advanced marketing team capable of getting the most from SugarCRM’s complex feature set. Agile CRM includes marketing automation tools that let you segment your audience based on behavior and automatically respond to website visitor behavior like clicking web links, filling out forms, and other common actions. It also includes the ability to quickly design, deploy, and track social campaigns across multiple platforms such as Twitter and Facebook. Other nifty bits of automation include automated email personalization based on contact data, automated A/B testing for your email campaigns, and in-depth tracking and analytics reporting for all relevant customer behaviors. Pricing: Free for up to ten users (some restrictions,) $9.99 per user per month for Starter, $39.99 per user per month for Regular, $64.99 per user per month for Enterprise (annual pricing). Best for: Sales teams looking for a CRM solution with advanced features and a simple interface. ActiveCampaign includes a complete CRM solution, but the core of ActiveCampaign is its marketing automation tools, which predate the CRM itself. That means if you’re looking for a CRM with powerful marketing automation, ActiveCampaign is one of the few that options that truly puts those features first. Right out of the box, ActiveCampaign gives you a massively powerful email automation system, which can sort your customers to specific email lists and send out targeted, personalized emails to your leads based on their behavior. In addition to email automation, ActiveCampaign closely tracks your customers and contacts and assigns them an Engagement Score. This lets you rapidly identify your most interested leads with little more than a glance at your dashboard. Pricing: $49 per month for Plus, $129 per month for Professional, $229 per month for Enterprise (annual pricing). 14 day free trial Available. Best for: Marketing experts looking for powerful marketing automation tools. In addition to all of the features you’d expect from a standard CRM, Greenrope integrates a few unique ways for your marketing team to engage with customers. You can set up the usual autoresponders, drip campaigns, and audience segmentation. But Greenrope also allows you to easily create surveys to collect valuable customer data, automate SMS marketing campaigns, and generate workflow charts for your team on the fly, all based on customer behaviors. Greenrope can be put to good use by a savvy marketing team both for setting up effective automated campaigns as well as the collection of important customer data. It can even be used to rapidly build and deploy landing pages, giving you a complete platform for tracking and realizing almost every facet of your marketing strategy. Pricing: Pricing based on number of contacts. Prices begin at $149 per month, ranging up to $699 per month. Free trial available upon request. Best for: Medium-sized businesses looking to improve their marketing automation. Aritic provides you with everything you need to engage with your customers through email, SMS, social media, or even directly on-page. Customize messages and promotions based on user behaviors such as visiting certain pages, filling out forms, responding to emails, and dozens of other potential triggers. Aritic allows you to automatically segment your audience for personalized drip campaigns, send out customized push notifications to phones and desktops, and display unique on-page content to help drive attention and conversions. Pricing: $19 per user per month for Lite, $49 per user per month for Starter, $89 per user per month for Professional; contact for quote on Enterprise. Free trial available. Best for: Marketing specialists looking for an integrated solution for campaigns and tracking through a CRM interface. Modern CRMs pack a lot of features into a single piece of software. Every business and every team has a different approach when it comes time to put these tools to work. As important as marketing automation might be to building your customer relationships, it’s even more important to have a CRM which your entire team is comfortable with. So when you’re looking for a CRM that will provide value to your marketing team, find something that effectively collects and tracks all of the important data you need to make informed marketing decisions in a way that’s easy to use right out of the box, without extensive training requirements. Remember that many features of marketing automation can be found in popular CRM add-ons and integrations. If your favorite CRM is lacking a few marketing tools you were hoping to put to work, shop around for an add-on which can bring some of the features you’re looking for to the platform you’re familiar with and enjoy using. Final tip: CRMs are generally priced per user, so if you plan to give your marketing team access to your CRM, it really helps to find one with a low base price. Don’t be afraid to experiment with the free trials for a few different CRM solutions until you’ve found one that fits best into your team’s workflow. You’ll be surprised at just how much the right CRM can improve your business!